henrymohammed has no other items for sale. I own 3 of these radios. They all are some of the best portables that were sold. AM broadcast is really good for late night DX-ing. I mostly use these on battery power, as they're quieter (no slight power supply hum). The batterys ("D" cells) seem to last forever. 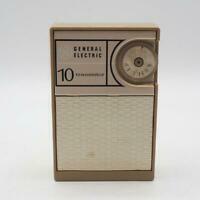 The radio is a bit bulky, but the quality makes up for it. Quality but lacking ease of use. The radio is very precise and has great range. Those qualities can make it difficult to tune in lessor stations on a crowded dial. Preset station buttons would help in tuning in different favorite stations. 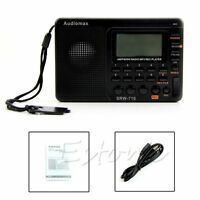 Great sounding AM/FM Radio.... true 2-way full range and tweeter speaker make this a great sounding radio for FM and especially for local AM stations. The dial calibration is horrible. This is the only bad thing about the radio. The radio works for a LONG TIME on 6 D cells. 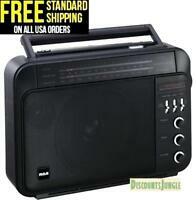 This is a very good unit, but it is a little more difficult to tune in distant fm stations we like. My original radio of the same era and model seems to be more presise and it's sound is slightly better, but this is still a good radio. 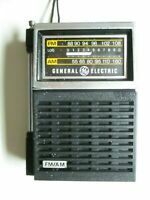 Very good radio; it is the only type of radio my brother-in-law uses.